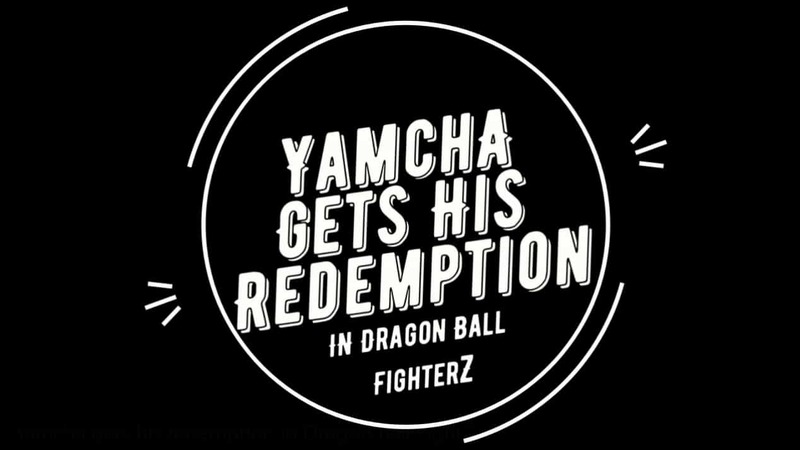 Yamcha gets his redemption in Dragon Ball FighterZ In English version when jumps in through SSJ Blue Goku and Vegeta. Taunts Nappa that using a Saibaman again wouldn't work against him this time. Nappa says he would kill him by himself. After a fight scene, Nappa launches a saibaman which the desert bandit sends back with a Kamehameha wave. Nappa gets hit and in pure irony goes down in the same manner as Yamcha famously did in the anime. 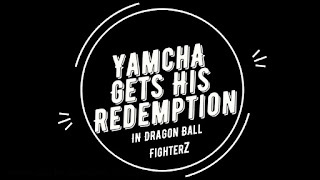 He gets his redemption In the Japanese version when jumps in through Hit and Majin Android 21. Taunts Nappa that using a Saibaman again wouldn't work against him this time. Nappa says he himself would kill him. After a fight scene, Nappa launches a saibaman. The Desert bandit sends it back with a Kamehameha wave. Nappa gets hit and in pure irony goes down in the same manner as Yamcha famously did in the anime. The Japanese version is a litter longer. around 10 seconds longer to be exact.